We provide one-stop specialised marine transportation project management in vessel design, construction and operation of four 95 TEU fully-cellular hatchcoverless container vessels outfitted with gantry crane and two 29 TEU geared deck container vessels outfitted with fixed jib crane. 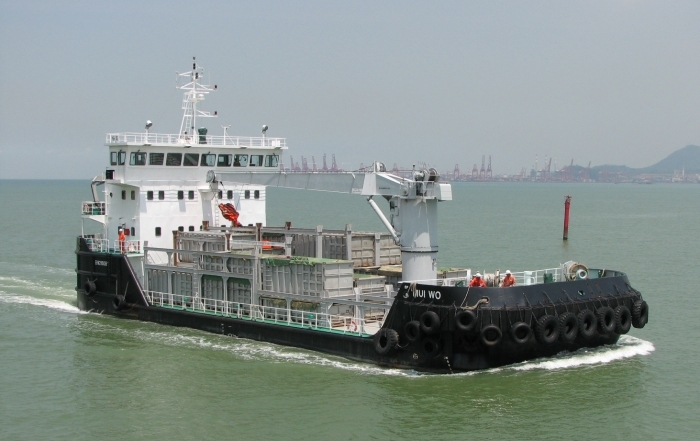 These specialised 6 container vessels have been performing Government contracts, shuttling across urban and outlying islands in Hong Kong waters to transport the compacted and containerised municipal solid waste from waste transfer stations to landfills. This method of transporting waste in bulk has greatly reduced the traffic and environmental nuisance associated with small refuse collection vehicles moving on the road.